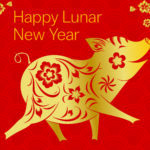 February 8, 2019— This week, China enters the Year of the Pig, which in the Chinese calendar is supposed to bring prosperity and wealth. Therefore, it’s worth contemplating the prospect for share price increases for the stocks comprising the MSCI China Index. One key measure of the attractiveness of Chinese stocks is the current discount of MSCI China Index to the aggregated analyst’s price target for the index. 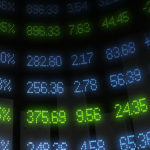 February 4, 2019—Financial markets have been quite volatile over the past four months, with the S&P 500 down almost 20% from September to December of 2018 on concerns about politics, the Federal Reserve, and global growth. During that time—as is our modus operandi when the headline noise risks overwhelming all other considerations—we kept our focus on economic fundamentals and maintained the view that the U.S. equity market was not reflecting those fundamentals. 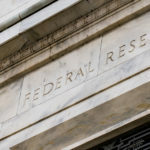 January 31, 2019– Chairman Powell and the Federal Reserve pushed a message of “patience” after its meeting yesterday, meaning the central bank does not expect to raise interest rates for several months. This is entirely justified by the U.S. economic data, the slowdown abroad, and the numerous risks that lurk. The Fed also gave some more transparency about its willingness to slow down the ongoing normalization of its balance sheet.